As a trial attorney with 40 years of litigation experience, I take pride in continuing the legacy of Devine Millimet’s founding fathers who knew that every client is important—no matter how big or how small the case. It’s for this reason that I’ve geared a significant portion of my practice to plaintiff personal injury work—I enjoy helping people who can most benefit from my experience. I also like tackling intellectually challenging cases, often paving the way in areas of law not yet solidified in New Hampshire, which is why I find insurance coverage disputes, industrial and construction defect cases, and legal malpractice cases to be of particular interest. By working as both defense and plaintiff counsel in all matters of civil law, I have a unique perspective that benefits all of my clients. My clients are as varied as my practice. My personal injury clients come from diverse financial, social, and cultural backgrounds. 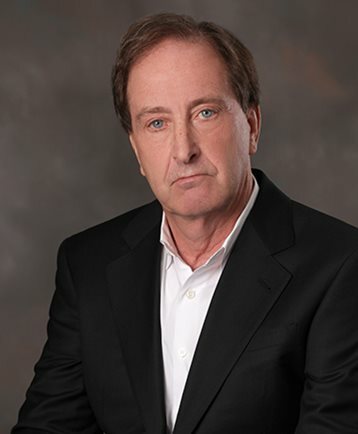 Many of my longer-term clients are large institutions with which I’ve had longstanding relationships as their “go-to” person for handling legal concerns and insurance companies with which I’ve been associated for my entire 40-year tenure with Devine Millimet. The cases for which I’ve become known in the New Hampshire Bar also span the realm of my practice. In DeBenedetto v. CLD Consulting Engineers, I stepped in as appellate counsel to ensure that “other responsible parties” are now on jury verdict forms throughout the state, understanding that parties who cannot be sued or who have settled out of a case still have an important part to play in the facts surrounding an accident or injury. In Marcotte v. Timberland, I introduced hedonic damages to New Hampshire—an act which displeased many of the defense bar, but on which plaintiff attorneys have since relied for higher and more just verdicts. With over 135 published and non-published cases combined in both federal and New Hampshire state court, my cases have spanned decades of groundbreaking law. Whether it’s photographing wild animals on the Serengeti, relaxing on a beach in the Caribbean, or horseback riding and hiking in the Midwest, I enjoy all kinds of travel and exploration. When home, I enjoy cooking for my beautiful wife and working with her on various historical projects in our small town. She has even cajoled me into helping her plant hundreds of daffodil bulbs in our yard as part of her annual fundraising efforts. DeBenedetto v. CLD Consulting Engineers, Inc.
Northland Ins. Co. v. New Hampshire Ins. Co. 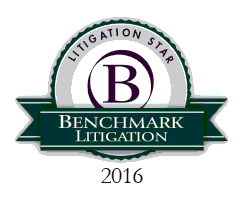 Selected as "Local Litigation Star" in Benchmark Litigation 2017, since 2009. Selected by his peers for inclusion in The Best Lawyers in America© in the fields of Commercial Litigation (2014), Insurance Law (2016), Personal Injury Litigation/Defendants (2011), and Product Liability Litigation/Defendants (2011). Named the Best Lawyers® 2017 Insurance Law "Lawyer of the Year" in Manchester, NH. "Top Attorneys” — Personal Injury, New Hampshire Magazine, 2001, 2002, 2005 - 2007. "The Ideal Attorney," New Hampshire Magazine, October 2003 — Personal Injury Litigation and also cited as "Smartest Lawyer You Know" and "Appellate Ace - Supreme Court Law"
Cited for "Excellence" in the area of Insurance Law in an article entitled New Hampshire's Lawyer's Lawyer New Hampshire Magazine, July, 1994).